A 9mm might expand, but a 45 will never shrink! 24/7 Kimber Big Dot NS - used. On Kimber when I got the gun, didn't like them, so I removed and replaced them. Unknown how old they are. They still glow well -- photo does not do them justice. According to Brownells, they fit Custom and Ultra Carry (retail price $108). 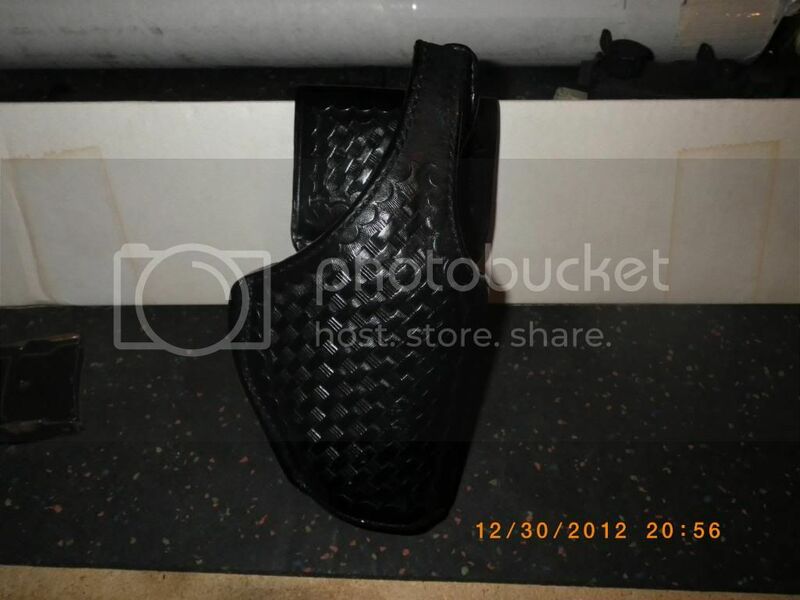 Bianchi 97A Grabber holster -- black basketweave for Sig 229. Used, but like new. 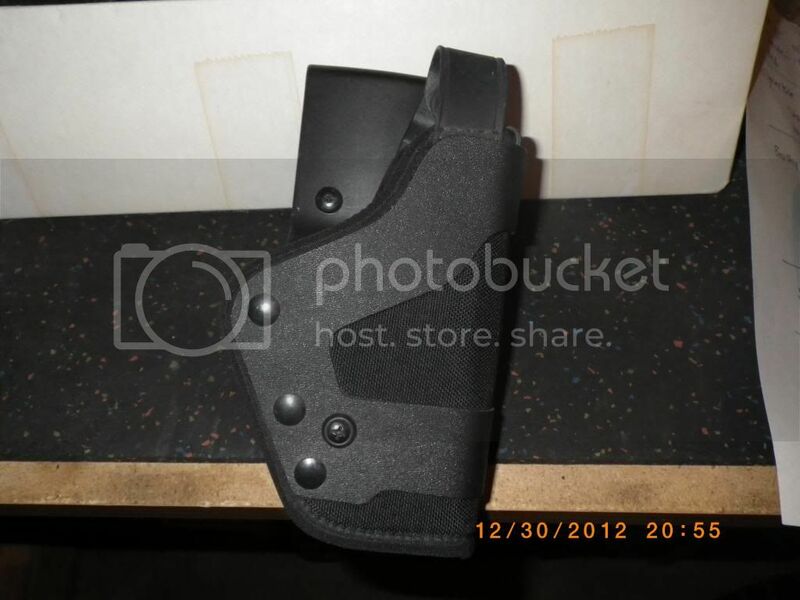 Uncle Mikes duty holster -- black nylon size 21 (for Glock 22, 23, 17, 19). 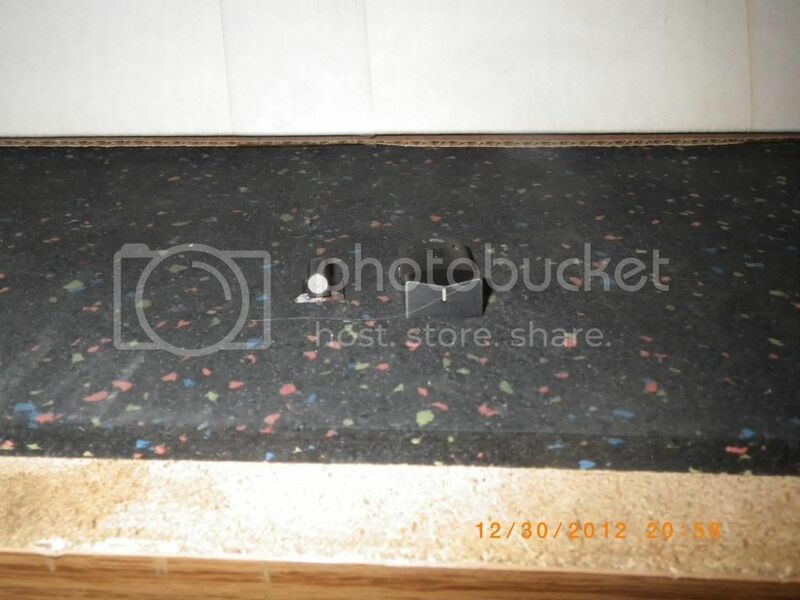 Used, but in like new condition.